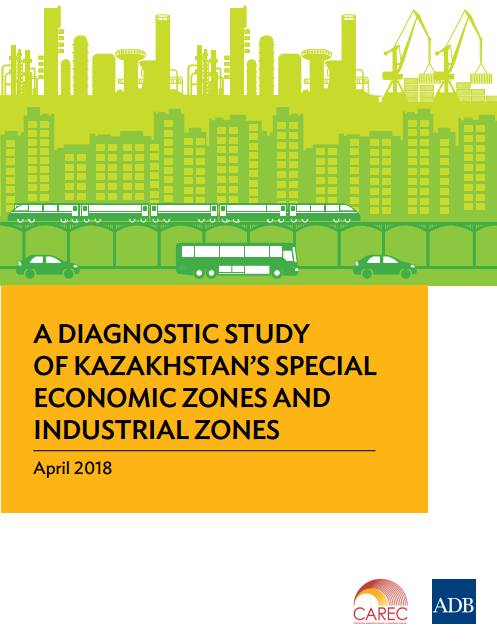 This diagnostic study provides an overview of the features, functions, and effectiveness of Kazakhstan’s existing special economic zones (SEZs) and, to a much lesser extent, its industrial zones (IZs), in order to identify and correct their shortcomings and formulate guidelines in accordance with international rules and best practices, so as to enhance their contributions to the success of the country’s economic development strategy. Attention is focused primarily on the SEZs, as few of the IZs are as yet operational. The main purpose is to highlight the principal features of the SEZs and IZs; in the case of the SEZs, it also evaluates their performance with reference to specific numerical targets. These targets pertain especially to the SEZs’ objectives of increasing employment, and attracting export-oriented activities, as well as investment, including foreign direct investment (FDI), along with the resulting acquisition of new technologies. At the same time, this diagnostic study provides some guidelines as to how the existing SEZs (and IZs) could be modified to improve their cost-effectiveness.